) 800-826-6332 8 www.conde.com Photo Gifts & Awards T R A N S F E R S Y S T E M S & S U P P L I E S • I M P R I N T A B L E P R O D U C T S • E D U C AT I O N A L V I D E O S • T E C H N I C A L S U P P O R T Condé Systems offers everything needed to get into the personalized photo gift business including transfer systems, production software, blank imprintables, supplies & instructional videos. 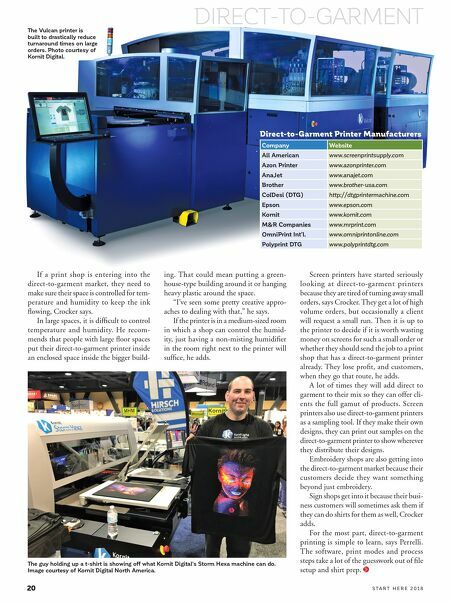 Screen printers, sign makers, embroiderers, pad printers, photographers, engravers & artists can expand their current product offerings by producing full-color, photographic quality gifts & awards. 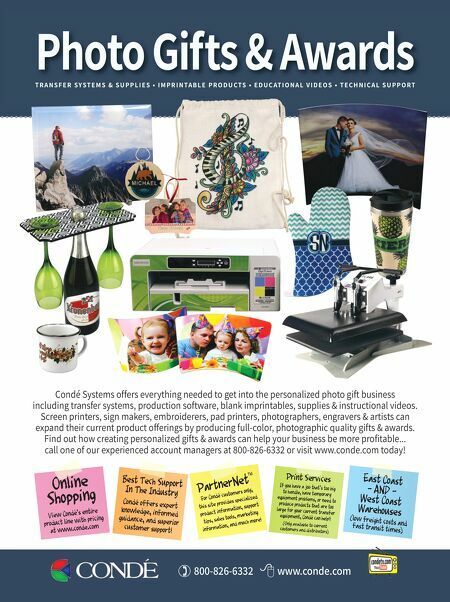 Find out how creating personalized gifts & awards can help your business be more profitable... call one of our experienced account managers at 800-826-6332 or visit www.conde.com today!